And if you have a not-so-great team, then your answer is probably “better off.” But whatever the current state of your salesforce, there’s always room for improvement. Without great salespeople, your business will become stagnant or non-existent. So the key is to keep them motivated and ready to compete. If you’re looking to light a fire under your field sales teams, then you can use the following tips. Once you hire your salespeople, it’s important to train them thoroughly. While there isn’t a need for hand-holding in field sales, there is a need for continuous training. A lot of salespeople fail because they don’t understand a product or service. So as you introduce new products and services, make sure to educate your people about them. This includes the features, benefits, pricing and delivery. You want your sales teams to sound professional, energetic and influential. But they can’t be any of these things if they’re unsure or incapable of answering customers’ questions. And make it transparent across all departments. If your salespeople are able to see important analytics data from various departments, they can make decisions that improve their sales. For example, a sales manager can keep track of productivity, identify gaps and hone in on what’s needed to improve sales yield. Another option is to put certain metrics on display for all to see. For instance, weekly scorecards for all sales agents. This will allow everyone to see their productivity and create healthy competition. For example, you can keep track of metrics like lead penetration rates, talk time analysis and lead-to-sale conversions. What better way to make an employee work harder than giving them incentives? It’s the age-old tool that every business should use. Incentives are both challenging and rewarding, or at least they should be. The key is to provide incentives that are exciting enough to motivate your field sales team. Just make sure the incentives are within your company’s budget constraints. Focus on rewarding measurable behaviors, such as the metrics listed above. This way, people can see their progress and take advantage. If everything seems fair and reachable, then you’ll draw in the majority of your salesforce. Now, here’s a job for your sales managers – creating attainable goals for their salespeople to reach for. This ties into your metrics and incentives strategies. With the combination of the three, you have a sales department that has goals they’re reaching for, can measure and get rewarded for. But in order to make this a success, you need to make them realistic. There needs to be a written plan and a system to measure metrics and accountability. Milestones can be set up, so your salespeople have weekly, daily or even hourly goals to reach. Identify essential activities that have to be done to achieve the set goals. A way to accurately track the measurements of your sales team is also needed. Maybe a software or online platform that everyone can access. The quality of the leads gathered will determine your conversion rates. So it’s important to reduce the amount of time your salespeople spend on uninterested leads. This is nothing but a waste of time and energy. Instead, you can focus on filtering out these leads and pushing them through a nurturing campaign. One way to go about this is to align your marketing and sales departments. Why? Because your marketing team is weeding out the hot leads, so the sales team can hone in on them and make the sale. So how do you set this up? A solid qualifying system is needed. You can use tracking to see which content leads are viewing before they’re linked with the sales team. For instance, you may find motivated buyers look at the pricing page before calling, compared to others who look at nothing. Your teams should only interact with the leads that have been educated and shown interest. This will make their job easier. And again, this is where your marketing team can help. With the content and ads they create, they’re helping to target interested prospects. But warm leads that aren’t yet ready to buy shouldn’t be thrown out. These are the individuals you want to draw into your nurturing campaigns. Your marketers need to keep in contact with these people, egging them on until they make a final decision. Customer relationship management, or CRM, needs to be as simple as possible. In most companies, the CRM is tedious and time-consuming, so salespeople overlook using it. Yet, this leaves your sales managers lacking in sales data needed to improve sales productivity. So the key to this problem is to adopt a CRM that’s easy for field sales teams to use. It’s also a good idea to train your salespeople on the CRM. This is especially important for folks who aren’t as tech-savvy. Then to really make things interesting, you can have each sales rep’s dashboard personalized. All this means is allowing them to see their personal metrics and progress. Seeing their goals whenever they need to can help them stay on track. Regular training can also keep your sales department committed to using their CRM. Mobile updates should also be enabled, so your people can get accurate data while in the field. They should also be able to input data from their mobile device. It seems data and transparency are key to making your sales team better in the field. You can witness as much as a 40% increase in sales productivity just with data enrichment. If your salespeople can get their hands on the data needed, they can better guide customers to the sale. 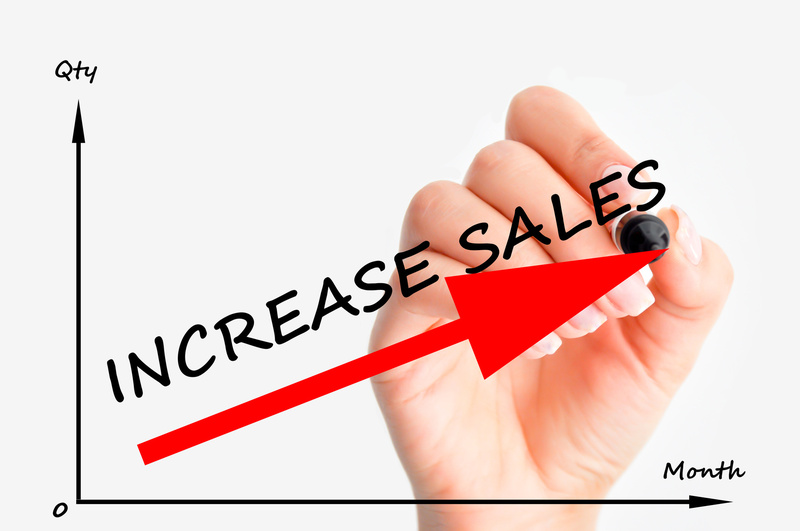 With the above strategies, you can enhance your sales departments in a way that boosts revenue and morale. The tools you empower them with is also critical. With the Mapview App, you can give your sales team mobile access to Salesforce data, robust route planning and schedule optimization. Altogether, this can keep track of local leads, plan appointments and meetings, and sync calendars with Outlook or Gmail. So stop by today to download the demo. And if you have questions, feel free to contact us!